Lately the girls have been quite taken with Prince of Egypt and the music from it. We listen to the soundtrack in the car a lot. One of their favorite pieces is "The Plagues." It is powerful. Overwhelming really. And it got me to thinking. The movie takes some poetic license, and I wondered if so many "I send" statements in the song did as well. It turns out, they did not. Pharaoh, his heart hardened, defies God. He denies His authority. He disrepects His commands. Babylon did the same thing. 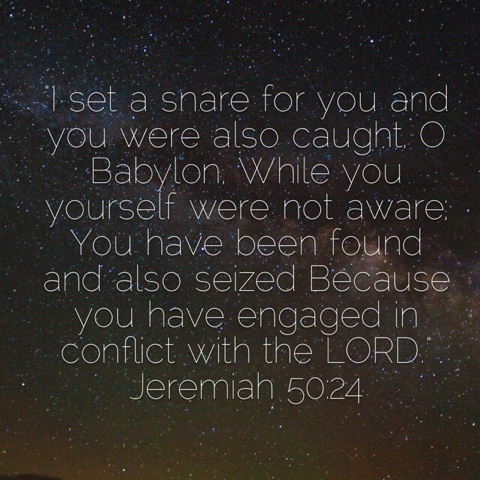 In Jeremiah she is recorded as "engaged in conflict with the Lord." If history has taught us anything, let it be that any nation who rears its head with the audacity to oppose a Holy God will taste utter defeat. God is love, but He is also power. Might. Most High. Just. Only His love withholds His hand from wiping us out and starting afresh. Or not starting at all. 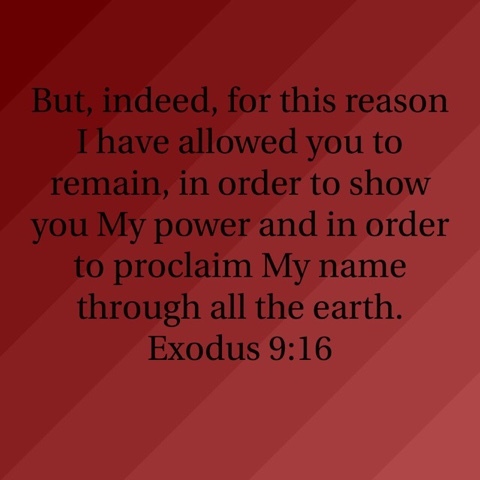 How is it love to say I have not slain you just so my power will be made known? The beginning of wisdom is the fear of the Lord. 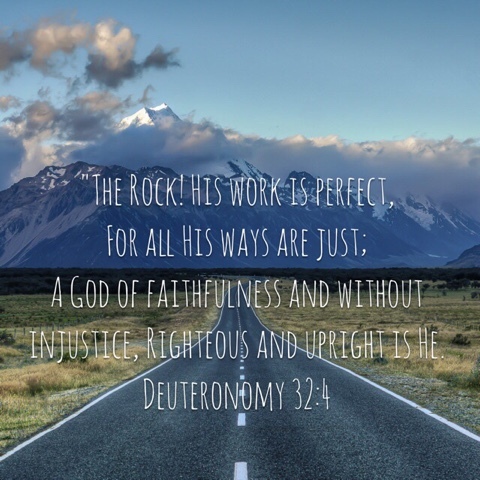 When we know who He is, what Holy means, what true justice is, and how sinful we are how can we do anything other than respect Him, trust Him, and come to know Him? Isn't the opportunity to know and trust Him worth the show of force? For a long time, especially lately, I've seen the bad things in the world as something God allowed, but didn't cause. How could a loving God cause such suffering, right? Job is an example - God permits Satan to torment Job. The Lord Himself causes Job no harm. Not so with Egypt. 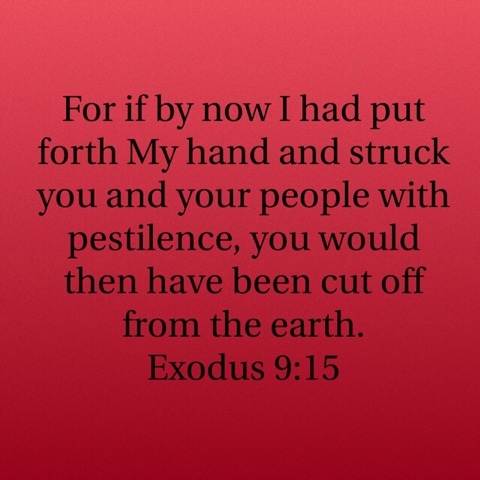 I poured over the story of the plagues the last few days looking for any indication that the Lord had allowed the plagues. I grew up thinking that He had sent the angel of death, or Michael, someone, to enact the final horror on the Egyptian people. What I've found instead is when one is in explicit disobedience to God, He will, Himself, strike. I will pass over. I will strike. Not I will allow them to be struck. And I think my beloved America is approaching that level of insubordination. We, as a country, are not only wallowing in sin ... we are starting to scoop it up, call it good, and call God's Word restrictive, hateful, incomplete, and untrue. 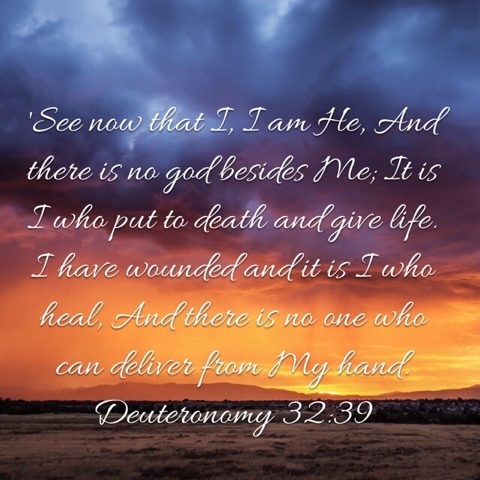 But the Lord is GOOD and He is LOVE and so there is always a way out. The blood of the first Passover lambs was the sign to Him. A sign of obedience. Of course He could have recognized His children's homes and passed over ... but the blood required a sacrifice and an act of obedience. 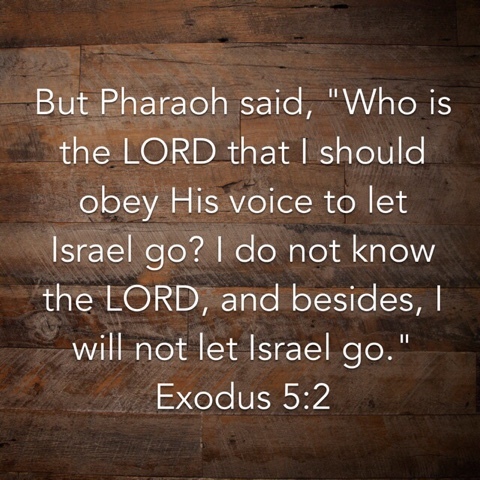 If there were any Israelites who did not obey, I couldn't find it. 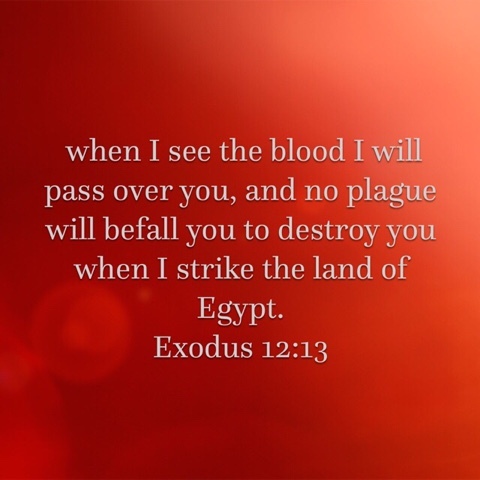 After seeing God's power unleashed on the Egyptians I'm certain their faith was pretty strong in that moment. He does listen to our prayers, and often when all hope seems lost, intercession can turn His wrath. 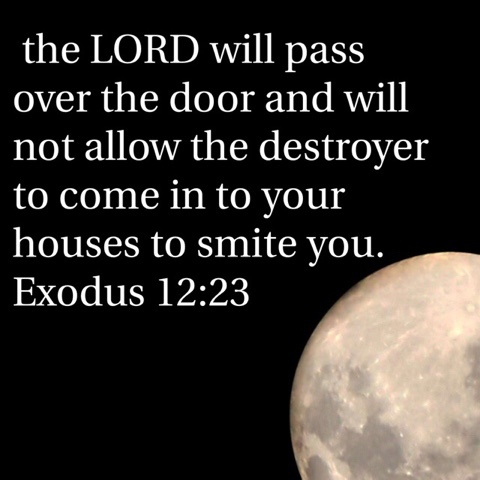 These same people leaving through their bloodied door posts late at night later incite God's anger against themselves in the desert. 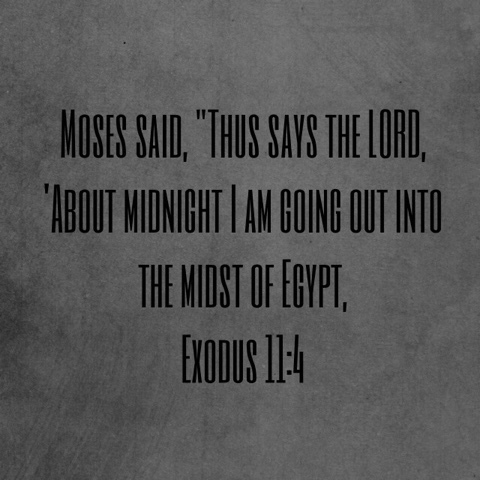 Moses intercedes for them and the tide is turned. He is also merciful. If you aren't interceding for our country, now would be the time to start. God is love, but He won't be disrespected. God is good, and He punishes evil. There is nowhere to hide from Him. And He hides His children, those who know Him and obey His statutes, under His wings.